Yes, we are selling Trails End popcorn again this year! They have new flavors out, plus returning with their USA Made healthy microwave popcorn, Military Donations, and more! Scouts can sell to people they know, people at their parent's work, door to door (with their parent and IN the uniform), or online! Contact your Popcorn Kernel to have a scout contact you about buying some popcorn today! Getting set up for selling popcorn online is fairly easy, if a bit slow. 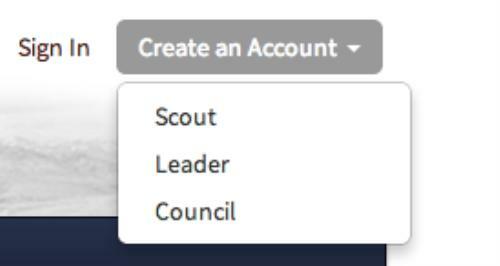 Next, click 'Create an Account' on the top right and choose 'Scout'. 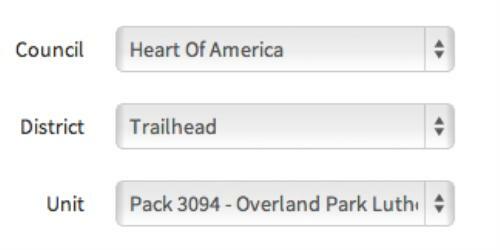 From this screen, enter your scouts information and your email address. They will send a validation email to that address shortly after you register. Please check your 'junk' folder or 'bulk' folder if you haven't gotten it in 10 minutes or so. Please remember what username and password you create for your scout. That's how you log back in to share your online sales link with your friends, family and social networks. Finally, click the 'Create Account' button and you're set! You'll get the validation email shortly, then you can log in and start sharing and selling! Popcorn sales help scouting across the nation as well as the individual scout who sells popcorn, gets a portion of their sales directly into their scout account, which may be used towards Camp deposits, Camp fees, and even towards helping their parent to be able to attend the camps with him! Over 70% of Popcorn sales go right back to Scouting. A portion of that goes to the scouts' accounts who sell popcorn. This is a great fundraising opportunity to help you later in the summer, or even with your annual Pack dues! 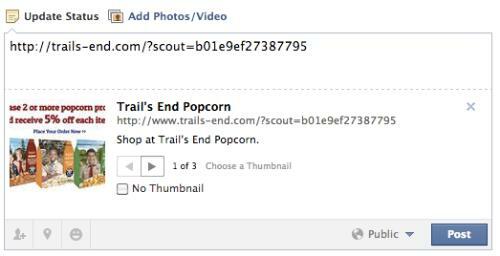 Once you are logged in, you can share your scouts personalized popcorn shopping link! First, log into http://sell.trails-end.com/ with the account you just created. It's not the fastest site on the Internet, but it will work, eventually. After a while, a page will load where you can enter names and email addresses of yourself, friends and family. Once you add a few names, click the 'continue' link on the right and you will get a textarea with some pre-defined text and a special link to send to your friends and family so they can order popcorn online and support your scout. There are several templates available in both English and Spanish; choose the one you like most. The [RECIPIENT] text will be updated with the names you entered on the first step as the system sends email on your behalf. Edit the rest of the text if you want to add a personalized message, then click Continue to preview and Continue to send! It'll take a while but relax, your emails are on the way! Now, if you want to share that special link to Facebook, Twitter, Pintrest or some other social site you can either copy it from your email or copy it from the text area. It's been highlighted in yellow above. 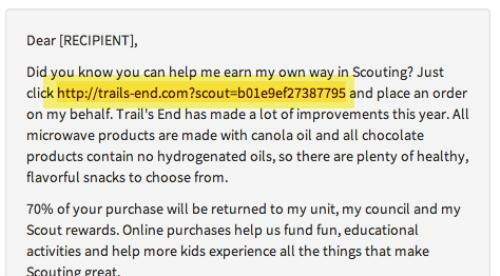 The link looks like this: http://trails-end.com/?scout=xyzpdq123321asdf -- the letters and numbers at the end are unique to each scout. Never use someone elses link, or you'll be supporting their scout, not yours! One tip - sharing the link on Facebook is pretty generic. You can make the link more personal by changing some of the text in there like this. Now hover over the text in the middle, 'Shop at trails end popcorn'. It should turn yellow. Click it and you can edit and change that text too! Good luck selling, and if you have any questions, just contact Will England or Amber Jenkins!